Iris 'Caesar's Brother'. 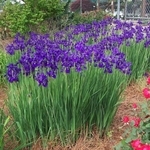 This tall Siberian Iris features purple-blue flowers above classic iris foliage. 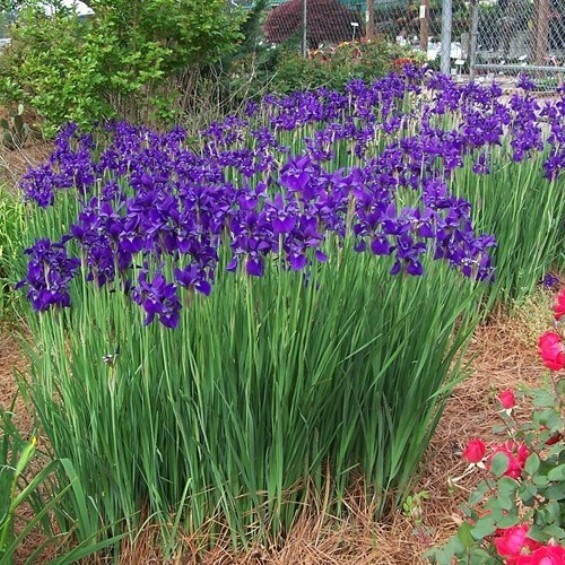 As with all siberica it grows best in moist well draining soil. Easy to grow.